Have you made your way to Siargao yet? The teardrop-shaped island in the Philippines was recently named one of the best in the world, and this doesn’t come as a surprise to us at all. With pristine beaches, gorgeous sights, great food, and some of the friendliest locals, it’s no wonder that a great many have set up resorts or purchased their very own vacation homes on the island. 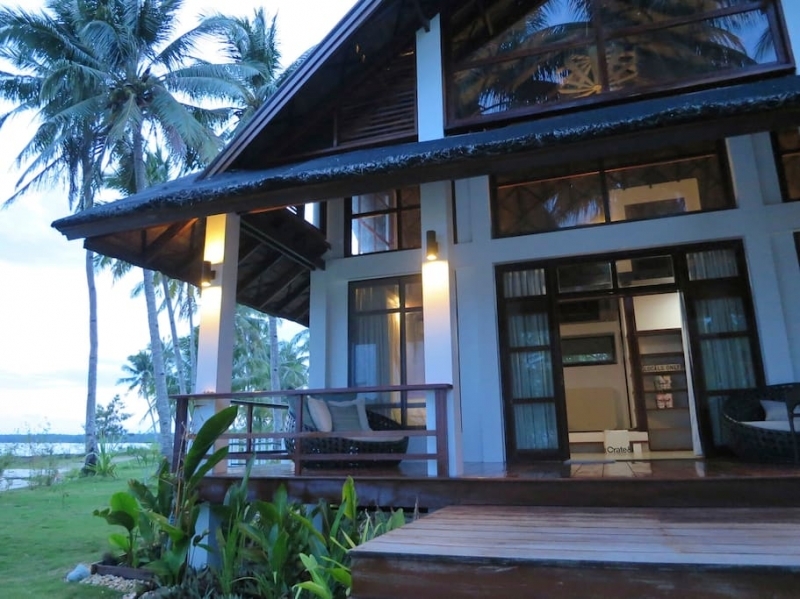 While some people have decided to uproot to Siargao permanently, a number of homeowners rent out their vacation houses and apartments to those visiting the island. 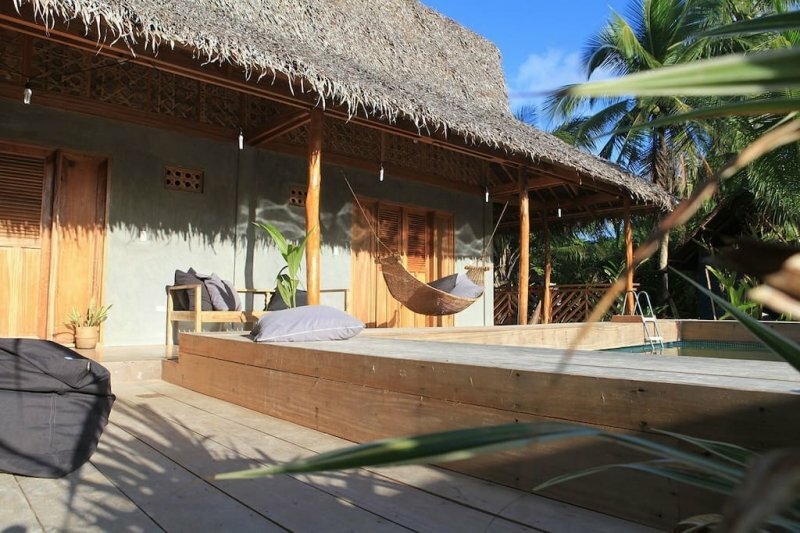 No need for you to comb through hundreds of listings — we’ve narrowed it down to a selection of 10 beautiful Airbnbs in Siargao, ideal for different types of travellers. Whether you’re flying solo, on a romantic getaway, or on vacation with family or friends, we’re sure you’ll find something to your liking. Make yourself at home at one of these beautifully decorated living spaces! 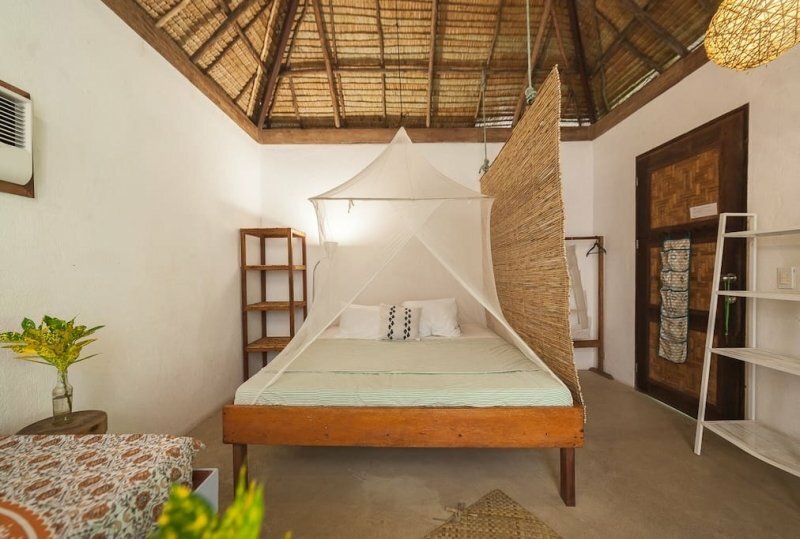 Take in the view of Siargao’s three iconic islands (Guyam, Naked, and Daku), rent a paddle board or surf board, or simply enjoy a stroll across this family loft villa’s private stretch of the beach. This luxurious home can house up to six guests, and includes a cosy kitchenette, dining area, and spacious veranda — perfect for al fresco dining or firing up the grill. With a minimum stay of three nights, guests may opt to avail of their complimentary breakfasts; week-long visitors get to enjoy two complimentary aromatherapy massage sessions in the comfort of their own villa. 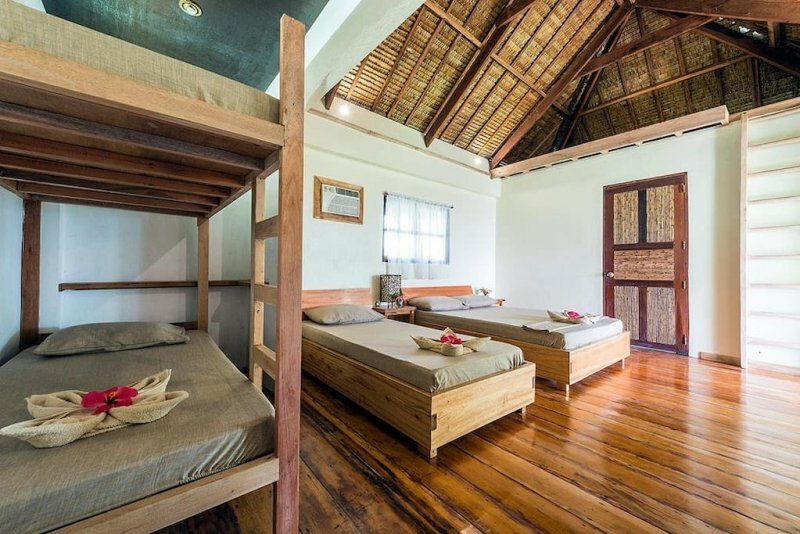 Perfect for a getaway with a big group of friends, this room has two double beds and two single beds, and can house up to eight individuals. 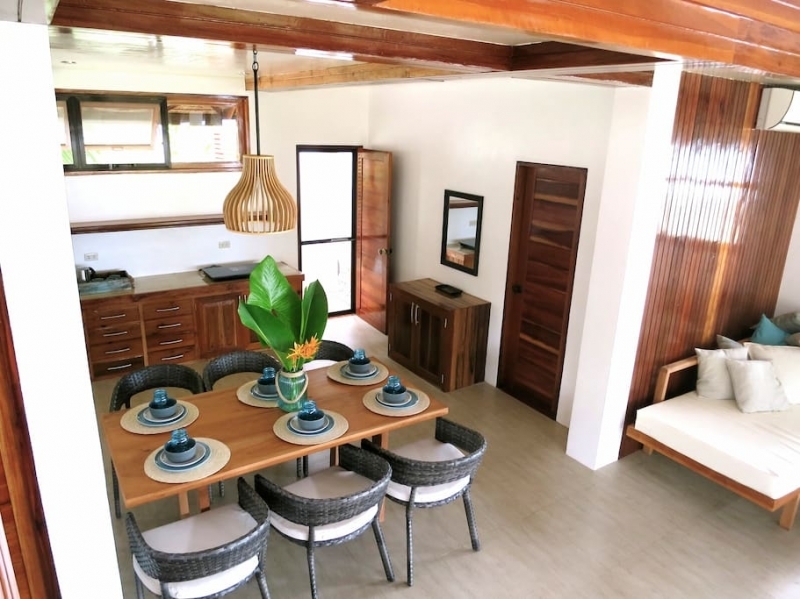 Guests are sure to enjoy this listing’s location, a short walk from Cloud 9 — known to be one of the Philippines’ best spots for surfing, and home to Siargao’s famous boardwalk. A quick habal-habal trip will get you to General Luna’s main tourist area, as well as to the pier from which you can take a boat and tour the gorgeous surrounding islands. 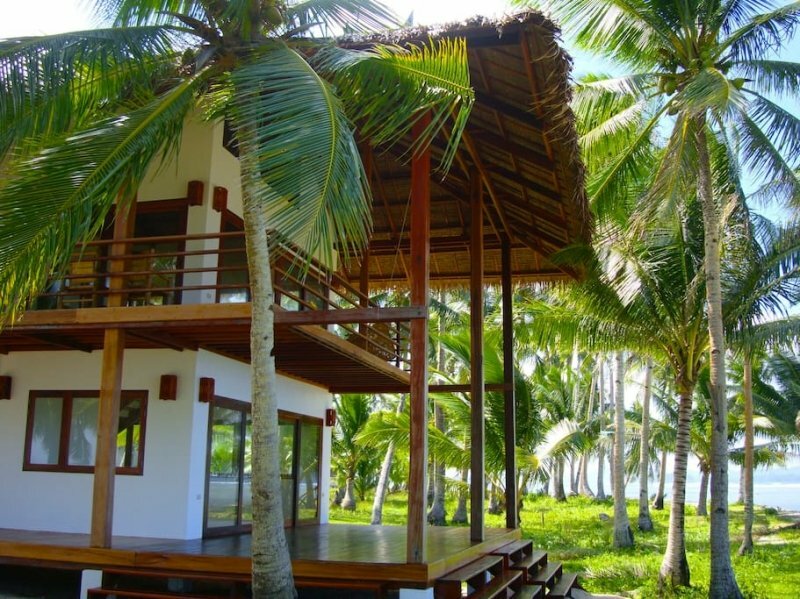 Listing name: Siargao Hideout - Central Location! 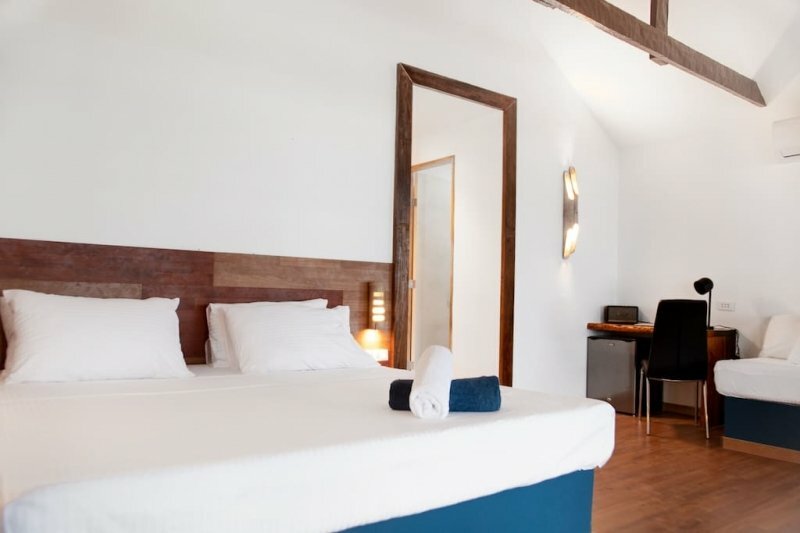 If you’re looking to stay somewhere with a more modern feel, we’re sure you’ll love this one. 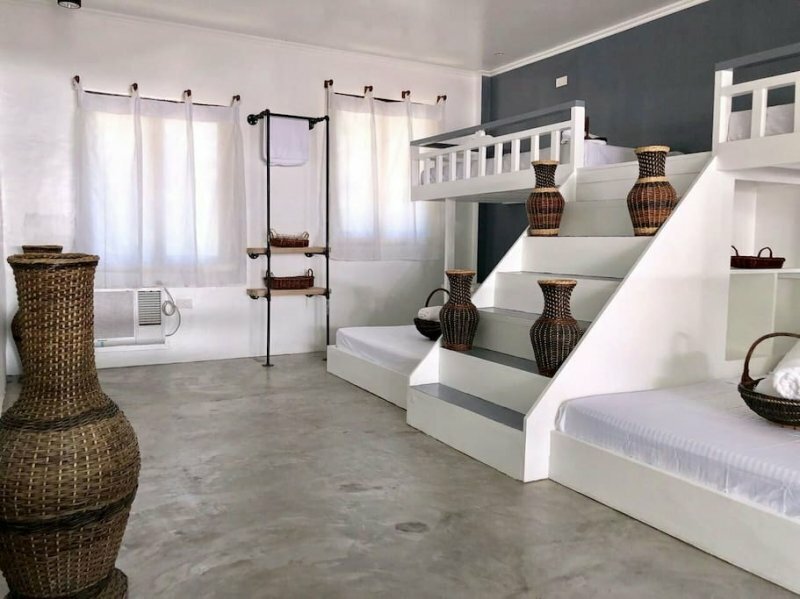 This beautifully designed accommodation is located along the main Tourism Road, just walking distance from many of General Luna’s establishments. 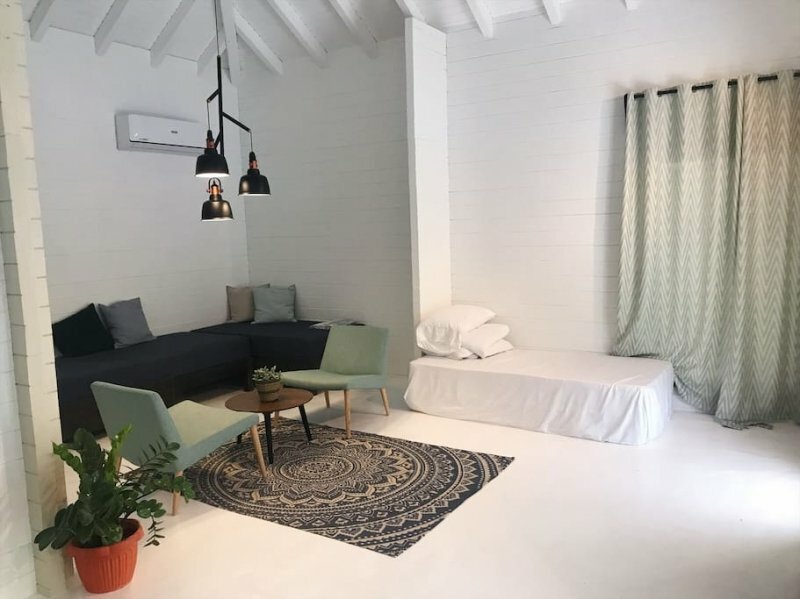 It also happens to be adjacent to Baked x Siargao, former Miss Universe Philippines Rachel Peters’ cosy coffee shop, where guests can enjoy complimentary breakfasts. The room is commended for being spacious and sparkling clean — some guests say it looks even better in real life than it does in photos! 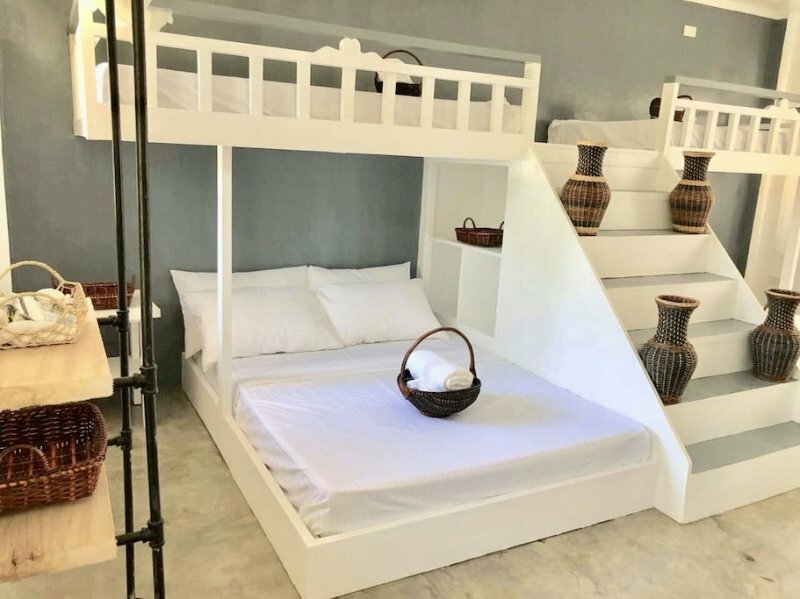 This rustic cottage is among several accommodations at Siargao’s Kawili resort, and consists of one double bed, one single bed, and a bunk bed — ideal for groups looking to share a single room. Perfect for lazy days, the cottage also includes a comfortable outdoor lounging area with chairs and two hammocks. If you value your time indoors just as much as the time you plan to spend exploring the island, you’re sure to enjoy the room’s flat screen TV, which comes with installed movies and a bluetooth sound system. Guests may also access the resort’s amenities which include their pool, sundeck, rooftop, and bar. 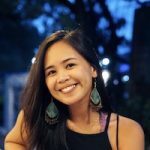 Also read: Siargao Island: The Ultimate Travel Guide with Insider Tips! We don’t doubt that travellers will feel at home at this listing! Guests have only good things to say about both this homey accommodation and its warm and welcoming host. 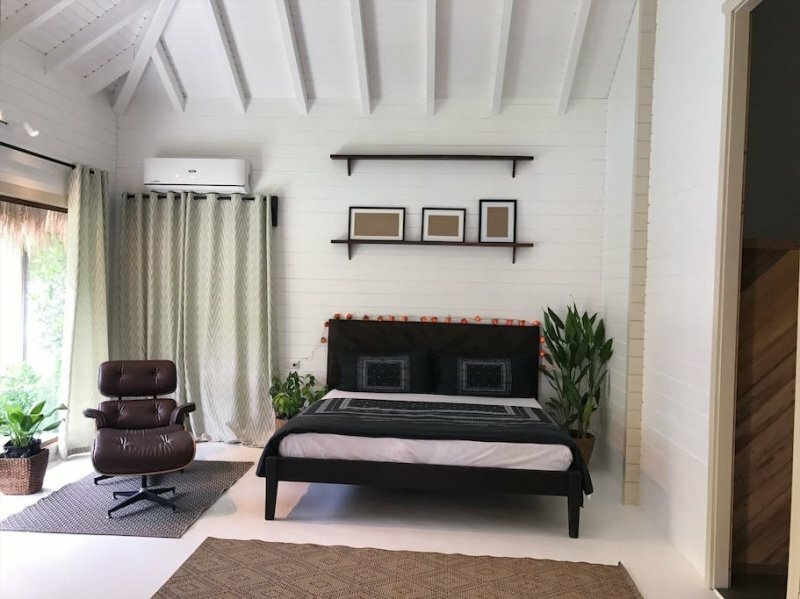 This stylish abode is adorned with handcrafted local furniture and has two bedrooms, a spacious living area, and a fully equipped kitchen. Close to many of General Luna’s prime establishments, this one is right by Kermit, one of Siargao’s famous restaurants. 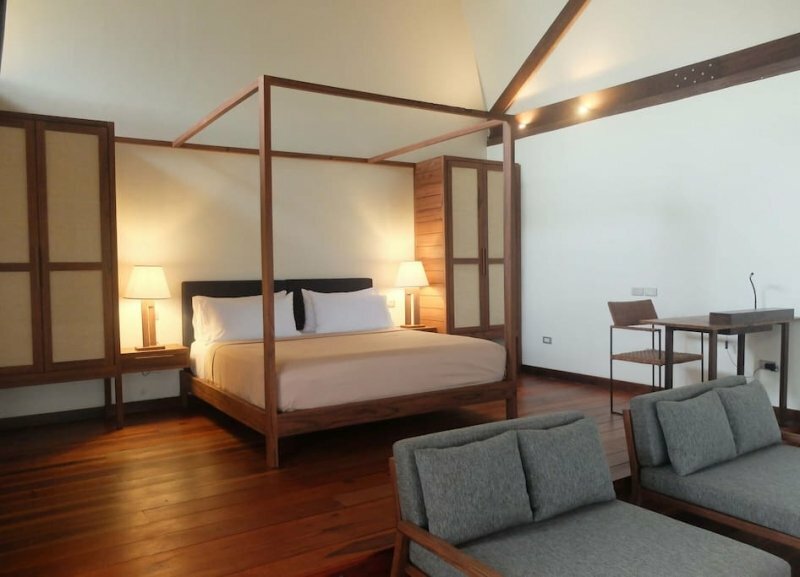 Ideal for couples and solo travellers, this listing is a great place to come home to after enjoying the best that Siargao has to offer. Despite being just walking distance from the beach and a number of establishments, this location provides a tranquil escape from the buzz of General Luna. 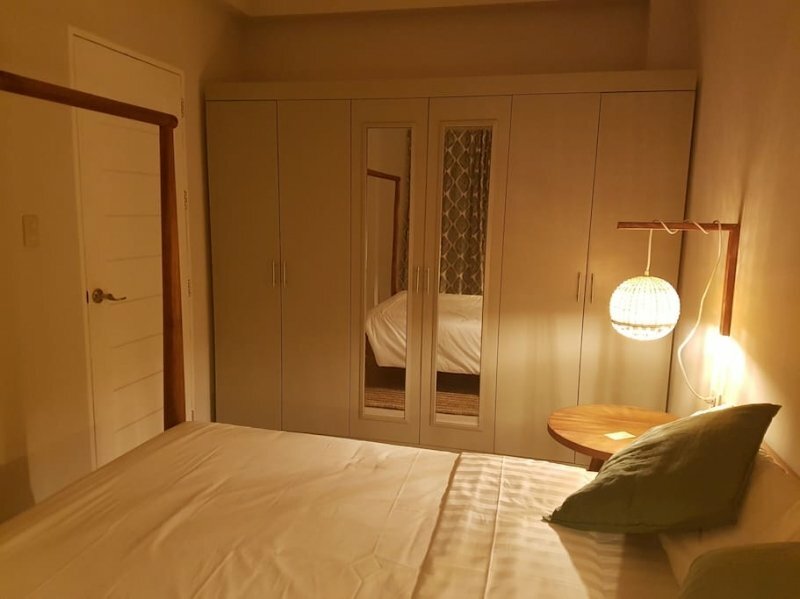 Guests will love the laid back vibe at this accommodation, with its comfy king size bed, day bed, and private porch setup. 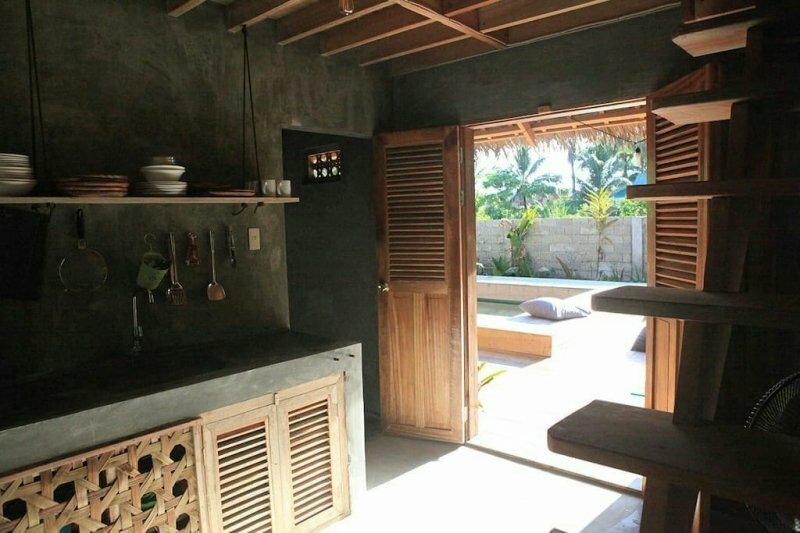 Travellers may also enjoy the shared outdoor kitchen, common garden area, and honesty bar. 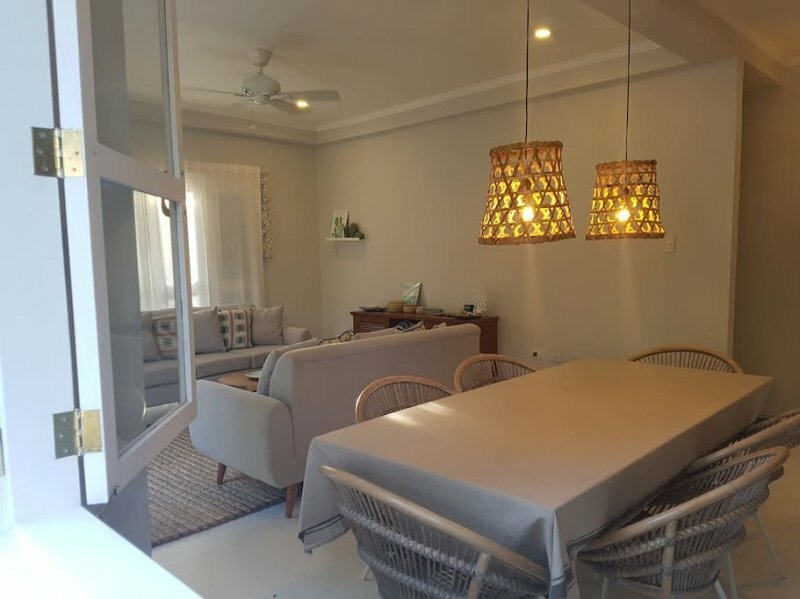 Ideal for those travelling in groups, this entire two-storey home consists of two bedrooms, one bathroom, a fully equipped kitchen area, a pool, and an outdoor lounging area. A little ways from the hustle and bustle of Tourism Road, this quiet spot is just a five-minute ride from most establishments you’ll want to visit in General Luna and Cloud 9. Live like a local and travel via motorbike — this listing comes with one available for guests to use! 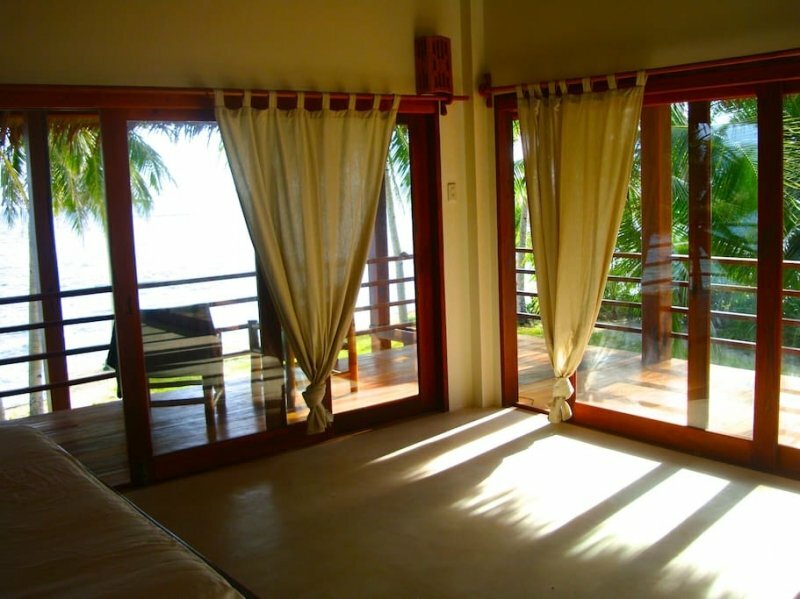 Tucked away from Siargao’s more touristy areas, this beachfront suite in Tuason Beach is a 10-minute walk from Cloud 9. Guests promise you’ll wake up to gorgeous views of the Pacific Ocean and fall asleep to the sound of the waves at this tranquil accommodation. Praised for their excellent customer service, this listing operates like a luxury hotel — your stay comes with daily housekeeping, bath amenities, and complimentary breakfasts. It’s also situated above the hosts’ authentic Italian restaurant, L’Osteria Ristorante Italiano-Vineria, well known for its great selection of food and wine! For those who are willing to splurge, this listing is on the pricier end of our selection. 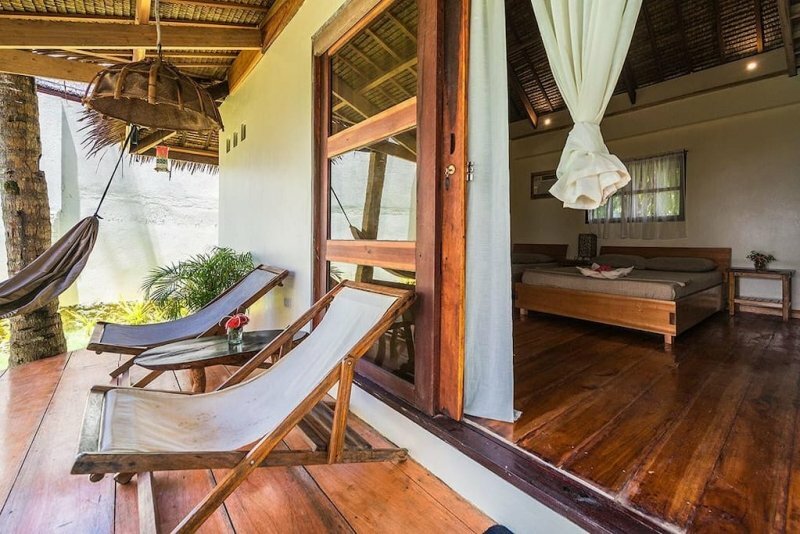 This spacious one-bedroom villa is the perfect combination of rustic and modern — while on the outside it may seem like your typical tropical hideaway, upon entering, guests will find a sleek and modern dwelling. With this villa’s idyllic beachfront location, you can take your pick between relaxing at the beach or chilling at your own private pool! Some of the island’s best restaurants and nightlife are just close by; notably, Siargao’s famous Harana Surf Club is only 50 few metres away! 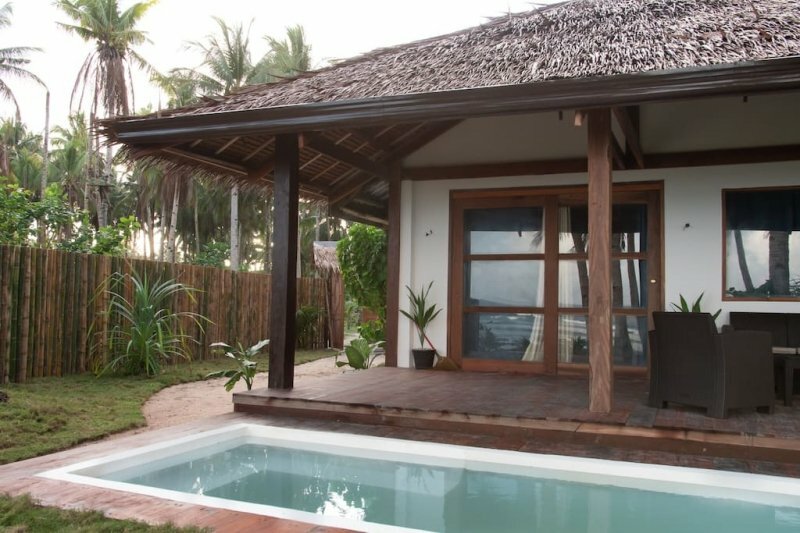 Away from Siargao’s main tourist area, you’ll find this peaceful retreat at Makulay Siargao Resort. If you’re looking to disconnect and recharge, this listing is definitely the one for you. 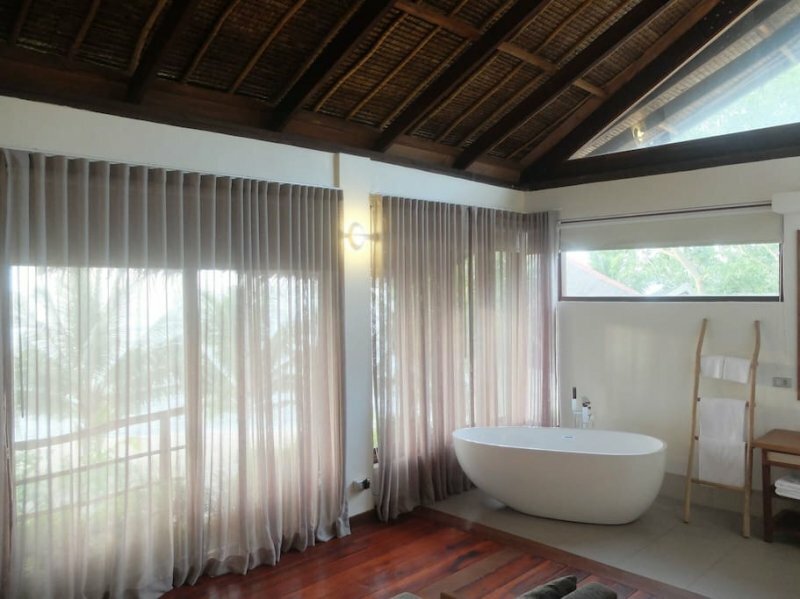 With its quiet location, private access to the beach, and stunning, ocean views, you’re definitely in for a relaxing experience at this private beach villa. Guests swear by this accommodation’s fantastic location, amazing food, and amiable hosts! While it’s just a 30-minute ride from the action of General Luna, it won’t come as a surprise if you find yourself wanting to stay put at this little slice of heaven. Don’t forget to bookmark this list — we’re sure you’ll find yourself wanting to return to sunny Siargao!